Other Decepticons would call Tankor a dirtbag, if it wasn't for the high-octane fuel he supplies to them. He's a sleazy liar who will steal or manipulate anyone, so long as it helps him get his way. As such, he fits right into the most dangerous battlegrounds across the universe, where survival depends on maintaining an advantage. The only reason other Decepticons will have anything to do with him is that he always seems to have a supply of fuel when everyone else is tapped out. Robot Mode: Let's get the obvious out of the way first. This figure here is officially called Tankor for whatever reason. But it's meant to be the Universe version of G1 Octane, of course. 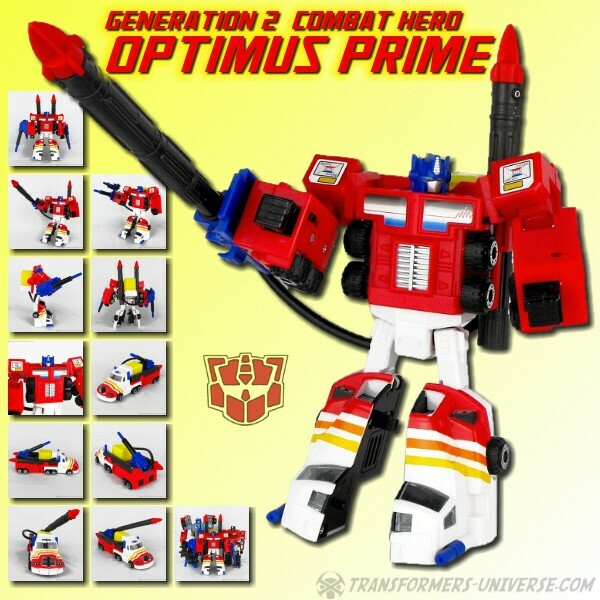 So if I slip and refer to this figure as Octane instead of Tankor, well, no skin of my teeth. He's Octane as far as I'm concerned, not Tankor. Now let's get started. Like many of the Classics and Universe figures, this figure here evokes the basic look of the G1 character it pays homage to, but changes other things around. Tankor resembles G1 Octane in that he has wings on his back, a somewhat smiliar-looking chest, and the head is pretty much identical. The rest of the figure is quite different. Tankor is also a very posable figure, the posability only slightly hampered by his big shoulders. The wings get in the way ocassionally, but since they can be moved both up and down and further back, you can easily compensate for that. Weapon-wise Tankor carries two guns that can combine into a single one, as well as a large... something. It can either work as a kind of capture claw or, when fully extended, as a slasher sword or something similar. Not sure what to call it. It kinda reminds me of G1 Octane again, though, who also has a large, similar-looking extra piece that he needs for his truck transformation. It didn't work as a weapon then, though. Here it does, but it isn't the best weapon I've ever seen. The only slight problem Tankor has, at least my version of him, is that the head tends to slighty shift down into the torso again and, as far as I can tell, the only way to keep it from happening is to twist it slightly until it won't fit inside. Not sure if that is a general problem, and it isn't really a problem, just a little annoying thing that doesn't really hurt what it otherwise an excellent robot mode. Alternate Mode: Tankor is a triple-changer, meaning he has two alternate modes. The first is the one he comes packaged in, a kind of bomber / transport plane. It differs a bit from the more passenger-liner type aircraft Octane transformed into back in the G1 days. Tankor in plane mode is big, bulky, and powerful-looking. There are four spinning propellers on his wings and the entire plane looks pretty wholesome, except for the aft section which looks a bit unaerodynamic, but not terribly so. Tankor's second alternate mode is a tanker truck, though it could just as well be some kind of armoured transport. G1 Octane had the tanker truck look down a bit better. Not to say that Tankor's truck mode looks bad, it's just missing that 'tanker' vibe a bit. The truck doesn't quite manage the wholesome look of the plane, but with the guns on the side camouflaging the worst bits, it still looks like it's supposed to. Bottom line: Two very solid vehicle modes that manage to look nothing alike and don't impede the robot mode in any way. Okay, both rely on that huge extra part / slasher weapon thing, but I can live with that. Tankor, in my mind, is the better of the two triple changers we've seen so far in Classics / Universe (the other being Astrotrain). Remarks: I always had a soft spot for Octane, especially after the G1 episodes "Thief in the Night" and "Starscream's Ghost", which more or less featured him switching sides to work with the Autobots while still being an egomaniac. So I really enjoy that he's come out as part of the Classics / Universe series and only a little bummed that he didn't get to keep his own name. Tankor, apart from the name, is a really good figure that manages to cram two solid alternate modes into a figure without hurting the excellent robot mode. Throw in the very good resemblance to the G1 figure and you got a winner. Tankor is fully recommended.